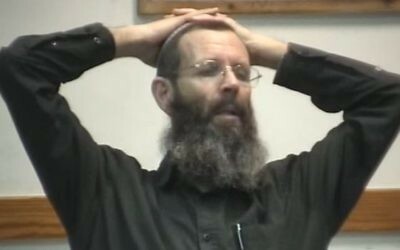 A controversial rabbi who made disparaging and sexist remarks against female IDF soldiers has been summoned to a hearing by Defense Minister Avigdor Liberman, who last week threatened to sever official recognition and funding of the institutions associated with the senior rabbi if he does not resign. 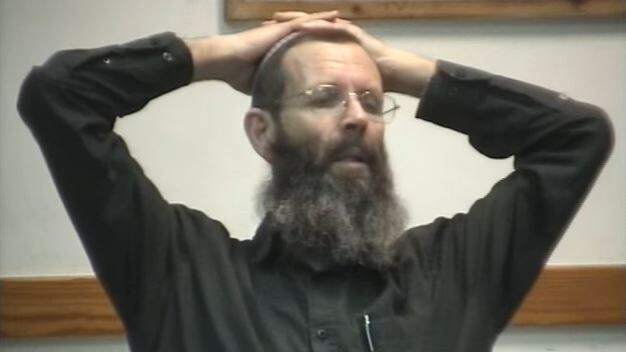 Rabbi Yigal Levinstein, the head of a religious pre-army academy and hesder yeshiva in the West Bank settlement of Eli, was requested to appear before the defense minister on Wednesday, presumably to respond to Liberman’s ultimatum. “We want to keep the academy open, but we also want to maintain the values of the IDF,” the defense minister said. Levinstein came under fire earlier this month after a video emerged of him saying military service drives female soldiers “crazy,” makes them unattractive, and strips them of their Jewishness. 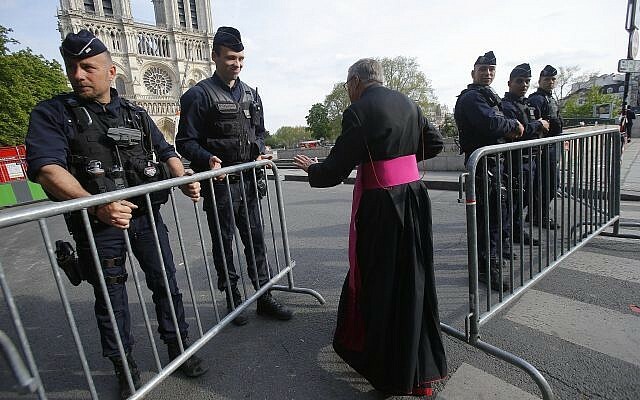 He had been reprimanded for making sexist and homophobic statements in the past. 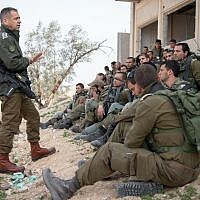 The hesder yeshiva program enables Orthodox soldiers to combine their mandatory IDF service with time spent studying religious texts in the yeshivas. Only officially recognized yeshivas are allowed to offer this program. 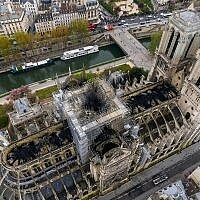 Liberman said the authorities had censured Levinstein once in the past, and had turned a blind eye to other comments, but that the rabbi had now spoken a third time, and this was no longer tenable. After Levinstein’s remarks were broadcast on Channel 2 News, politicians from across the political spectrum, including Prime Minister Benjamin Netanyahu, denounced him. Responding to the outcry, Levinstein expressed regret for the style of his delivery of his remarks, but refused to retract the content of his comments. 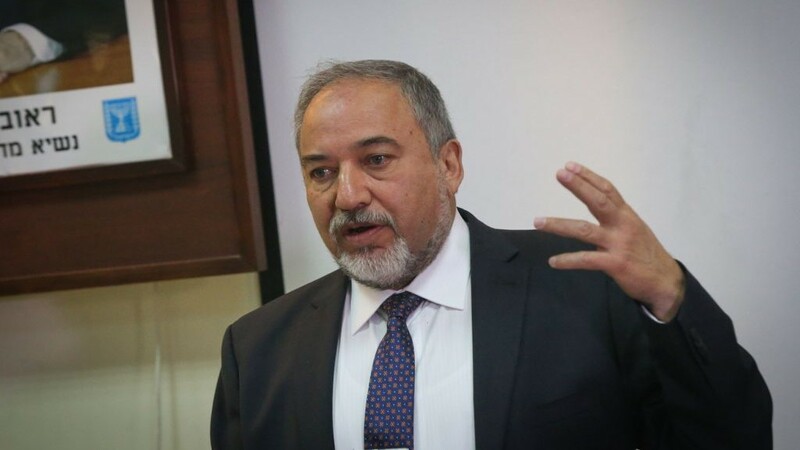 Liberman immediately called on Levinstein to resign, saying his offensive views were a “constantly repeating issue,” that showed intent to incite against members of the Israeli armed forces. 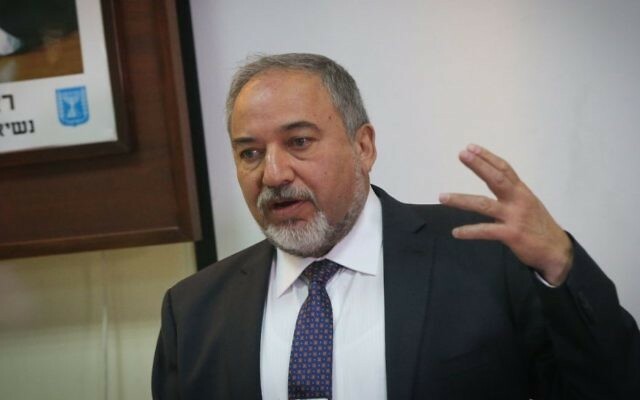 “If you do not do so, I will be forced to use my authority to end the Defense Ministry’s recognition of the yeshiva in the West Bank town of Eli and will do everything in my power to stop the recognition of the pre-army program in Eli,” Liberman said last week. 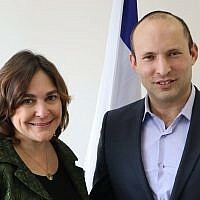 The defense minister also called on Levinstein to apologize to bereaved families of fallen IDF soldiers. While a number of other right-wing politicians have denounced Levinstein’s comments, Liberman has been alone among coalition MKs in calling for the rabbi’s resignation. 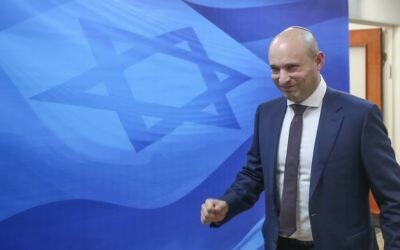 The defense minister publicly clashed with Jewish Home party chairman Naftali Bennett over the issue. Bennett last week slammed Liberman for calling for Levinstein’s resignation, tweeting on Wednesday that that the defense minister was looking to do some political maneuvering at the IDF’s expense. In his March 8 speech, Levinstein said that women who serve in the army leave their religion behind during their time in the military. Levinstein drew censure last year after calling homosexuals “deviants” in a speech. He wrote a letter to the Defense Ministry, explaining his comments, but has had many of his activities with the military cut in light of his controversial remarks.